Tower Bridge has embraced a shift from dinners to reception events, seeing a 20% rise in evening reception bookings since 2017. Normally an average of 30% of events would be reception-based, however these have steadily risen to 50% of all bookings. This appears to be due to a multitude of factors impacting the event-buyers of today. Time, budget and purpose all playing a part in deciding the format of an event. In an increasingly time-conscious society, getting more out of your day is extremely important and receptions offer a desirable level of flexibility. Dinners traditionally take longer and may not cater to those guests who, by choice or necessity, avoid four or five hour evening commitments. Whatever the timeframe, keeping guests engaged is also crucial and unconventional events and venues do this most effectively. 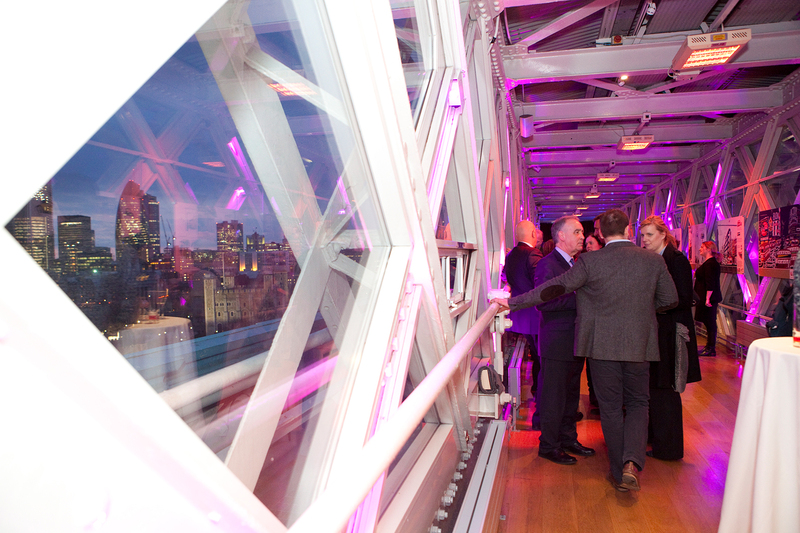 The Walkways at Tower Bridge provide a unique platform to entertain guests with panoramic views of the capital, afloat 42 metres above the River Thames on the stunning Glass Floor, making it a true Instagram-friendly space, both inside and out. Recent Tower Bridge events such as the OPPO UK product launch also highlight where a reception would be more effective than a banquet. Canapes and drinks are able to fuel an evening and keep guests energised as they listen to presentations, explore products and network at the same time. Budgets inevitably play a part too and therefore, in a smaller timeframe, unconventional receptions can provide more in terms of variety and connecting with guests.